Environmental authorities on the island are following reports of an artisan who is allegedly selling products made from the remains of manatees. 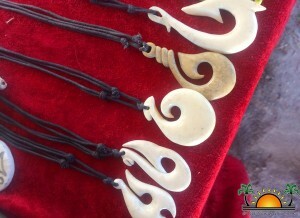 The artisan is reportedly telling people that the products are made from cow bones. Among his assortment of products, there are also wallets and wristbands that he claims are made from snake and shark skin. 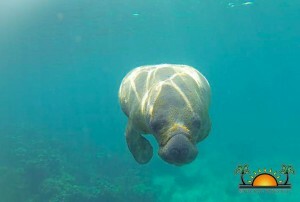 The Hol Chan Marine Reserve has indicated that due to the fact that manatees are protected species in Belize it is illegal to have in possession any part of the mammal, regardless of how it died. Anyone caught with body parts of a manatee commits a felony and can be fined with a minimal fee of $500 or in some ocassions fined and jailed for six months. The artisan allegedly engaged in such illegal activity has been described as being of Hispanic descent, originally from Argentina. The artisan has allegedly confessed to customers that he is using manatee bones, which he said to have acquired by the sack some time ago. According to some testimonies, he is aware of the risks, but argues that he is only selling his work. As for the other products made from snake and shark skin, apparently, he obtained the material from suppliers in Mexico. The San Pedro Sun reached out to Belize Manatee Conservation Project Coordinator, Jamal Galvez, who expressed his disappointment. “It’s clear in the law that it is legal to possess any remains of a manatee and persons doing so should know better,” he said. “No endangered species should be exploited in this manner. I encourage visitors or anyone when purchasing souvenirs of such nature to always ask their origin and to report any illegalities with it.” Galvez added that if there is no market for these products, then this will also help to discourage people from pursuing such activities. It is known that Belize has the largest population of West Indian manatees in the world with a population of less than 700 country wide. This number, according to environmentalists like Galvez is still very small, thus, it is an endangered species and protected by law. Manatees bring revenue to the tourism sector, they help in providing an ecological balance and as well diversify Belize’s wildlife. Anyone aware of persons hunting manatees or using parts for commercial purposes is encouraged to report it to the nearest authorities. In San Pedro, persons can contact the Hol Chan Marine Reserve at 226-2247 or/and Jamal Galvez at 615-3838.